OBITUARY - TEN THOUSAND WAYS TO DIE VINYL (LP BLACK) | Online Shop | Wizard LTD. 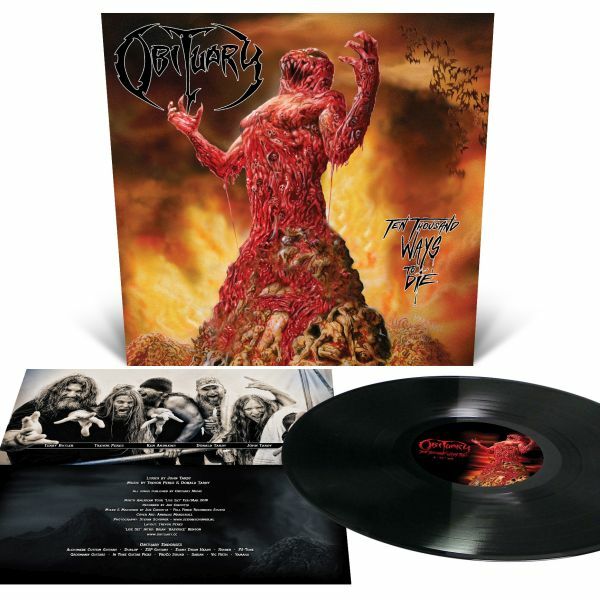 Album: "TEN THOUSAND WAYS TO DIE VINYL (LP BLACK)"
Limited edition version of Obituary’s live set of twelve classics and fan favorites from the band&apos;s storied catalog! Recorded in eleven different cities during the band&apos;s highly successful 2015 Inked In Blood world tour, the live tracks capture the incredible performances of a band that has stood atop the death metal pantheon for almost 30 years.